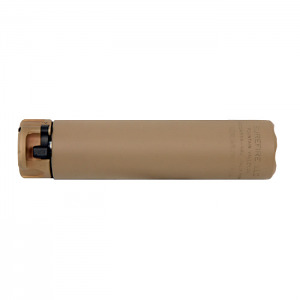 The Surefire SOCOM556-SB2 Fast-Attach suppressor is designed specifically for barrels shorter than 10 inches, or longer barrels firing unstable ammunition (e.g. most unjacketed frangible and “green” ammunition). It is a modified version of the SOCOM556RC2, the most advanced 5.56 rifle suppressor ever made, selected for use by USSOCOM. Constructed of advanced high-temperature alloys and stainless steel, the SOCOM556-SB2 features a larger bore to minimize the probability of baffle strikes due to unstable projectiles, a common issue with ultra-short-barreled weapons and some types of unjacketed frangible and “green” ammunition. Advanced internal venting reduces back pressure, thereby reducing the suppressed cyclic rate and gas blowback on the user. Securely mounts to a SureFire muzzle brake or flash hider via the patented Fast-Attach design which attaches and removes in seconds. Blade-Tech Reinforced Looper Gun Belt - 40"